My children took a bubble bath last night. That’s a pretty common statement for most parents but one that has been all too rare in my household in recent years. The good people at Suave sent me some of their products to try out in celebration of their Wash Them Grow with Suave Kids sweepstakes. They are giving away a Family e-Keepsake Kit (video camera, laptop and digital camera!) each week and one Grand Prize of a family vacation to Orlando. Go here to enter daily until February 22. 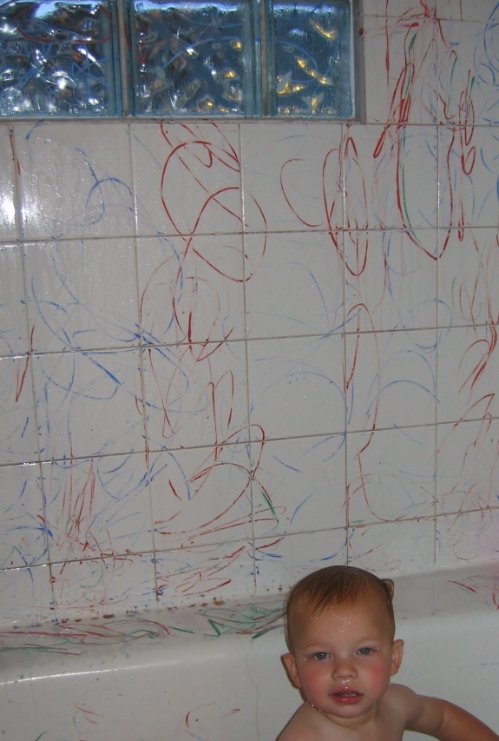 My daughter’s sensitive skin was always irritated by most commercial bubble baths. Breakouts and irritation always followed not far behind the fun and the bubbles. I eventually stopped letting her take bubble baths, and told her she was “allergic to bubbles.” I am happy to report that there has not been one complaint in our house about the Suave Kids Free and Gentle body wash. It’s dye free and won’t irritate sensitive skin. Not long before our package arrived, my daughter sat beside the tub, reading to me from Diary of a Wimpy Kid while I soaked in my own soothing bubble bath. (Perhaps this is another blog post…) “When can I take a bubble bath?,” she asked. Right now, sweetie. Right now. Thanks, Suave. Anyhoo, I can point you to MomSelect, a company that connects moms and marketers. You don’t even have to be a blogger to register. Since I have begun exploring couponing, I realize how many opportunities there are out there for moms to try new products and offer feedback. MomSelect is one excellent way to explore even more of these opportunities. 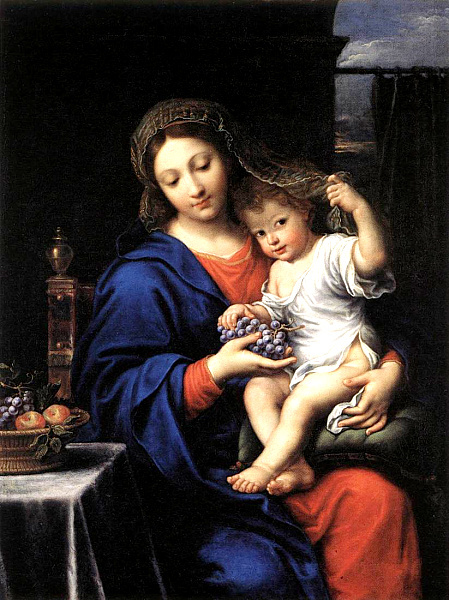 Let me just begin by saying I am not a collector of Precious Moments. There was probably a tiny window when I was about 11 when I thought they were cute, but it passed. That being said, I really do like the illustrations in this book. They were done by the Precious Moments Creative Studio. To me, they look a lot more up to date than what I typically think of when I see Precious Moments figurines. They have the bigger eyes typical of Japanese anime illustrations and the look has been updated to something more along the lines of Polly Pocket or the “new” (2006) Holly Hobby. The first book in a new series for girls 6 to 11 that celebrates the special gifts that make each girl precious in God’s sight. Girls will have an opportunity to learn ways that God made them special and how they can use their special abilities to make a positive difference in the world! Girls can interact with the series and develop their own real “Precious Girl’s Club” by going to the website: www.PreciousGirlsClub.com where they can play games and discover how God made them precious. The main character, Katie Bennett, moves to a new school and faces the daunting task of making new friends. One of my favorite things about the book is that Katie half-heartedly takes her mom’s suggestion for how to make friends and fails the first time out. (Hmm. Now wondering if I just like it b/c the mom was right! Mwahaha. Subtle marketing ploy?!) No one comes to Katie’s club, and she has to try again. I liked that things didn’t come easily for Katie, but she stuck it out. I’m sure many moms have coached a daughter through some difficult situation where they had to try more than once. I will say that I willingly suspended disbelief on the whole “Katie-talks-to-a-guardian-angel-only-she-can-see” thing. I wasn’t sure if that part of the premise might be troubling to some. To me…meh…not a problem. I appreciated the opportunity to dialog with my daughter about such things instead of say, hmmm, why we do not dress like streetwalkers. I really found this to be a nice antidote to some of the unhealthy girl culture I was ruminating about over here. And my daughter gave it a 5 stars, better than Junie B. better than Meghan Rose rating. I think I agree with her. BUT we’ll have to see how the series develops on that whole “better than Junie B.” thing, because Junie B. is a classic. We are not anti-Junie B. here. We do talk about how she makes some pretty silly choices and we enjoy laughing AT the Junie B.
I can’t say yet whether the Precious Girls Club will rise to Junie B.’s literary standards. But I think it might be trying to be something a little different. 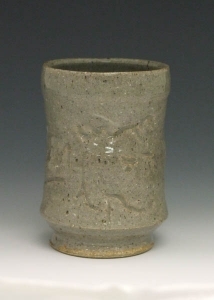 There is the online component mentioned above. We haven’t tried that yet because I think it’ll be another couple of weeks before you can log on, but we will definitely be checking it out. Well, Hubs has the Etsy shop open, and he’s participating in Bloggy Giveaways. Go enter. 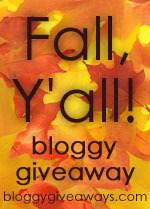 I am so excited about this giveaway. I have planned for you, people. Last time I just jumped in (late) with a little pre-owned somethin’ of my own, but THIS time I am authorized to pick 4 t-shirt winners from my new favorite kind and fashionable t-shirt company. I first became familiar with B*Kindwear when Shannon featured them on Bloggy Giveaways last summer. I remember being impressed with their story, especially since the previous Spring, I had been surprised to learn that classic “mean girl” behavior (you know, “I won’t be your friend if you/unless you…”) is now being exhibited in kindergarten. It’s one thing to teach your own children who share your own values to be kind to each other. But how do you equip a five-year-old to deal with exclusivity and peer pressure? I don’t want to get too high up onto my soapbox, but I was impressed with B*Kindwear for putting a positive message back into the marketplace. Last fall, I bought sparkly camo t-shirts for my daughter and myself. And I recently purchased one for an upcoming birthday party. So won’t you please join in the revolution, and help bring kindness back into fashion — one t-shirt at a time? 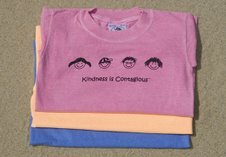 B*Kindwear is generously offering to ship 4 winners the t-shirt of their choice. And they are offering $2.00 off any purchase during this giveaway if you mention bloginmyeye in the comments section of their order form. 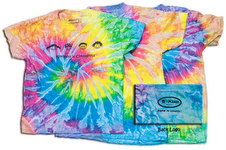 To win, visit their website and choose your favorite shirt. Then come back here and leave me a comment telling me which one it is. I’ll close comments Friday, Feb. 1 at midnight, and draw 4 winners on Saturday. 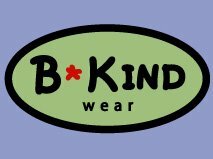 B*Kindwear has (kindly) agreed to ship to U.S. and International addresses. We have several post-Christmas birthdays in this household, so we’ve been caught up in the celebratin’ for awhile here. I hope to be back in the swing of things soon. Every time I even think about composing a blog post at the computer, a child ‘o mine wants to use the computer; and they are both becoming quite accomplished at computing these days. I guess I’ll have to start conserving energy to blog at the end of the day (or get a laptop so I can hide in the bathroom and blog; you know who you are *ahem*). Money Saving Mom – is the ultimate primer on couponing and deal hunting at CVS, Walgreens, and Target. She is amazing. Freebies for Mom – always has something interesting to list. She collaborates with Amy at MomAdvice to do Freebie Fridays, which I have been reading just about as long as I’ve been blogging. It is so much fun to get free stuff in the mailbox. Bargain Shopper Lady – Thanks to Cindy @ Still His Girl for suggesting this one when I solicited your advice for your favorite frugal sites. I am now the proud owner of the lowest priced warmest fuzzy Crocs in bloggity-ville. And thanks to Gayle, I am now ready to make my own laundry soap. I’ve collected all the ingredients. I’m just waiting for the cat to use up the rest of the kitty litter, so I can have the bucket to store my suds in! Can a male masseuse really give a woman a professional massage without enjoying it a little too much? I have had the time to negotiate a really cool giveaway for Shannon’s next Bloggy Giveaway’s carnival, so be sure to come back here on January 28 to check out the kindness. (No late start with a book I already own for me this time!) I’m so excited! And speaking of books, I would love to clear out my 2007 reading list by annotating it as its own page, so I can have a clean slate for 2008. Jeanne did this with her movies, and I loved it. The Toddler’s Busy Book is going to Dubai! Congratulations, Grace from Sandier Pastures.